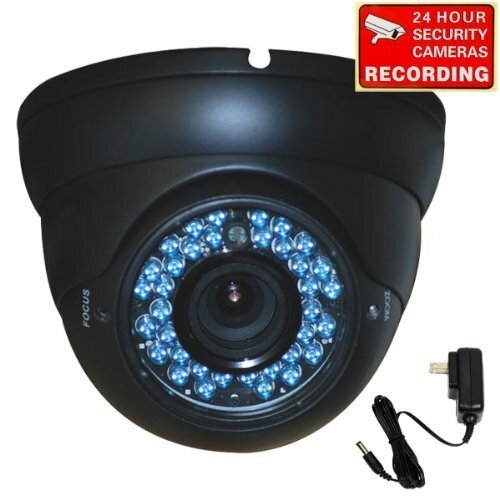 This VideoSecu infrared vandal proof pan/tilt dome camera, with external adjustable varifocal lens 4-9mm, 1/4 " Color CCD image sensor, and 420 lines of resolution. The tri-axis enclosure design allows you to change the direction that the camera is facing without taking it apart. The lens is adjusted from the exterior of the camera. Note: this is a CCTV camera. It is part of a security system and need work with other equipments, like a Digital Video Recorder, cable and monitor (not included). 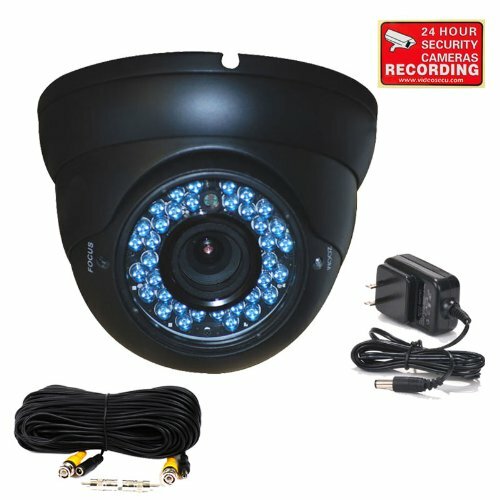 This VideoSecu infrared vandal proof pan/tilt dome camera, with external adjustable varifocal lens 4-9mm, 1/3 " Color CCD image sensor, and 480 lines of resolution. The tri-axis enclosure design allows you to change the direction that the camera is facing without taking it apart. The lens is adjusted from the exterior of the camera. 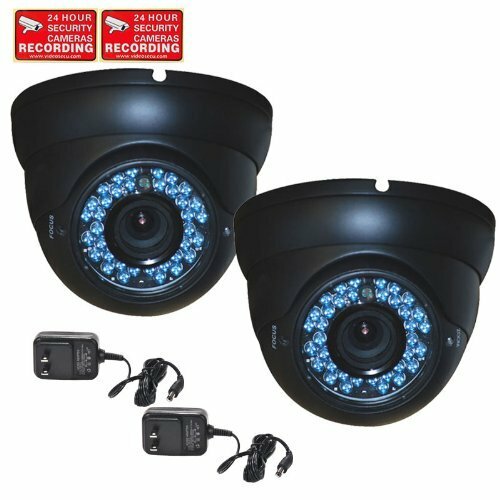 IR range: up to 145 feet. Note: this is a CCTV camera. It is part of a security system and need work with other equipments, like a Digital Video Recorder, cable and monitor (not included). 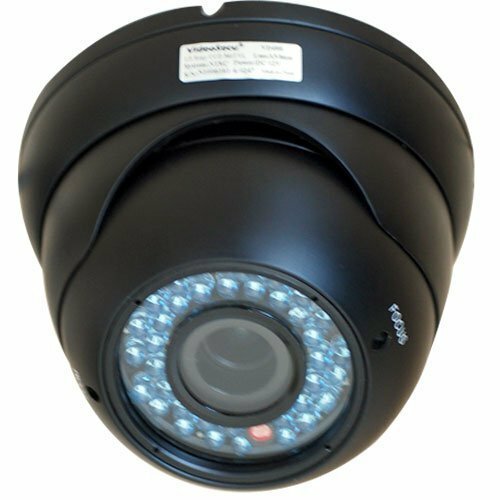 This VideoSecu infrared vandal proof pan/tilt dome camera, with external adjustable varifocal lens 4-9mm, 1/4 " Color CCD image sensor, and 420 lines of resolution. The tri-axis enclosure design allows you to change the direction that the camera is facing without taking it apart. The lens is adjusted from the exterior of the camera. Note: this is a CCTV camera. It is part of a security system and need work with other equipments, like a Digital Video Recorder, and monitor (not included). 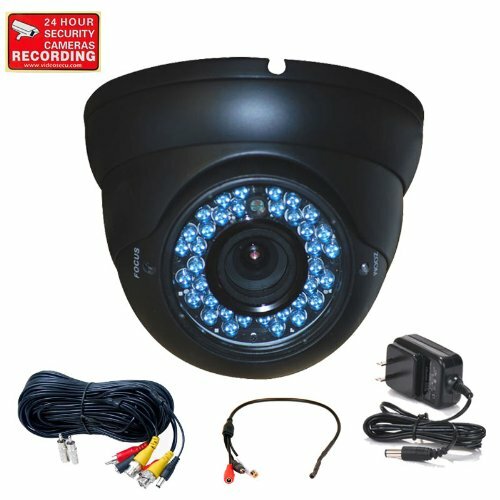 This VideoSecu infrared vandal proof pan/tilt dome camera, with external adjustable varifocal lens 4-9mm, 1/3 " Color CCD image sensor, and 480 lines of resolution. The tri-axis enclosure design allows you to change the direction that the camera is facing without taking it apart. The lens is adjusted from the exterior of the camera. IR range: up to 145 feet. Note: this is a CCTV camera. It is part of a security system and need work with other equipments, like a Digital Video Recorder, and monitor (not included). 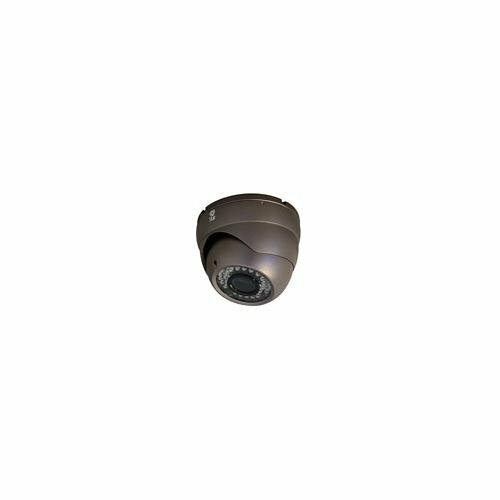 Enjoy the benefits of an intelligent surveillance camera using this 1080P Full HD Infrared TVI Dome Camera with Varifocal Lens from Monoprice! 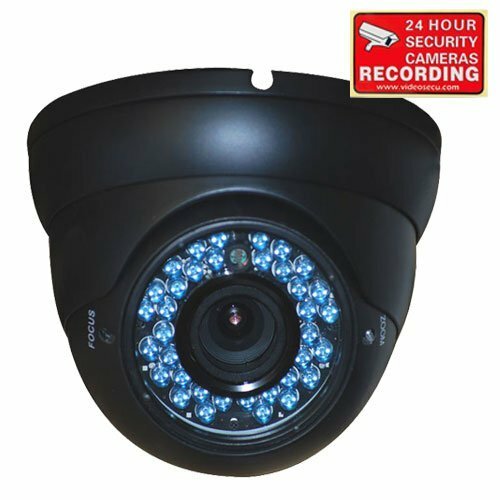 This Dome camera features true day/night capabilities with automatic switching to monochrome and use of infrared (IR) LEDs, allowing for full HD imaging in 0 lux conditions to distances up to 20 meters from the camera! It utilizes a 1/2.7" sensor and a 2.8~12mm lens on an M12 lens mount. The camera uses HD-TVI technology, which provides a cost-effective HD security imaging solution. Rather than requiring all new cabling, you can continue to use your existing coaxial and power infrastructure. Additionally, the HD-TVI signal is especially immune to electromagnetic interference and supports transmission distances up to 1500 feet over RG-59 cable, more than twice the distance possible with IP cameras. Because the video is uncompressed, you can view live feeds in real time, so what you see is what is happening at that moment. This camera adopts new generation sensor with high sensitivity and advanced circuit design technology. 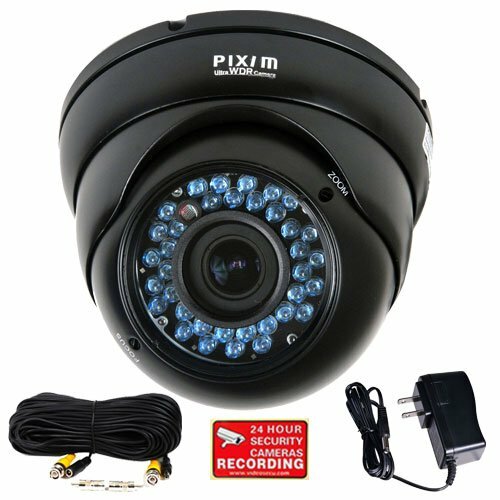 It features high resolution, low image distortion and low noise which makes it suitable for surveillance and image processing systems. 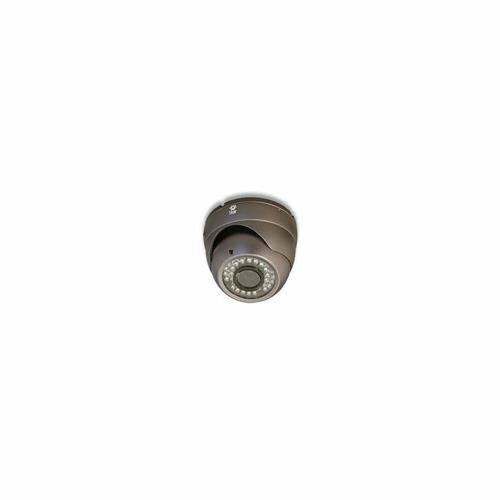 Gain the benefits of high-definition, megapixel resolutions with your existing analog DVR using this 1080p NextGen Analog Infrared Dome Camera.